When Tuesday’s episode aired, I was at trivia – where two teams gave themselves the same relevant name. As for the game, Stephanie’s got this one – well, she would have, had Alex not blown the Selena clue. I’m going to try a new format for tonight’s analysis. Let me know what you think. If Eamon doubles his score, he’ll have 23,200. 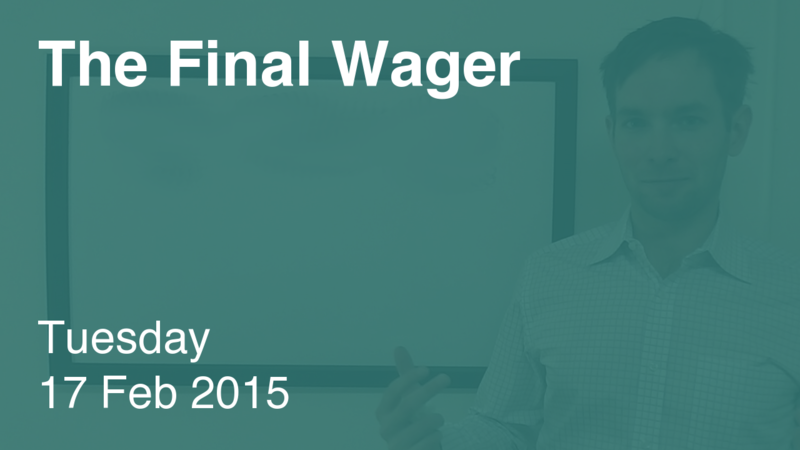 To cover this all-in wager, Stephanie will need to wager 1,000. 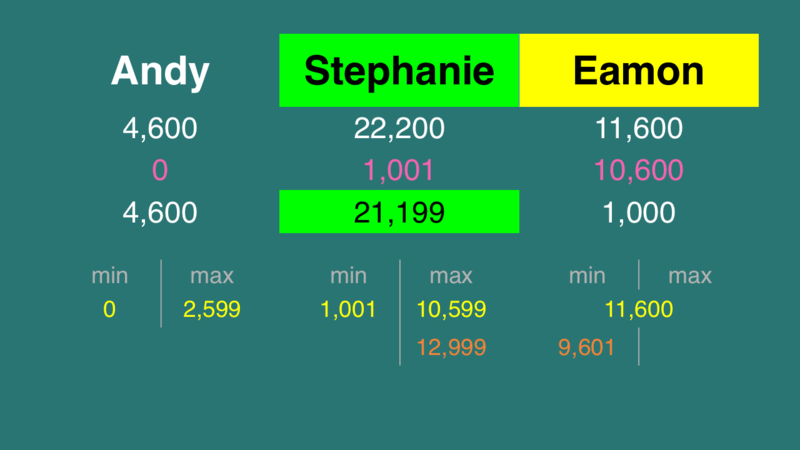 An incorrect response with that wager will leave Stephanie with 21,200. To get above her total, Eamon must wager at least 11,600. Keith, notice if Eamon had answered correctly and Stephanie had wagered zero, we would have had a tie-breaker.